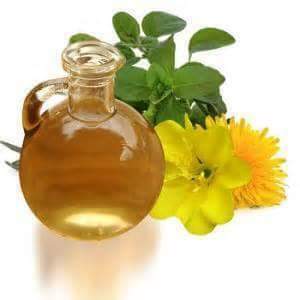 Otherwise known as sundrops, the oil of the mature seeds of evening primrose contain approximately 7-10% gamma-linoleic acid (GLA), a rare essential fatty acid that is a cell regenerator, anti-inflammatory & is very #emollient. It also contains terpenes &^ is #astringent. Evening primrose oil is a popular ingredient in #organic #cosmetics. It acts on the mind to relieve #anxiety & sedate. Medicinally, it is recommended for infantile #eczema, painful #breasts, #arthritis, #neurosis & reputedly lowers #cholesterol. The roots & shoots can be eaten. At one time it was used to ease #bruises & speed the #healing of wounds. One of the common names of Oenothera, “Kings cure-all,” reflects the wide range of healing powers ascribed to this plant. Evening primrose oil is also shown to have #sun protectant properties!